A modern botanical PRINT of my original charcoal and pencil drawing after a floral bouquet. 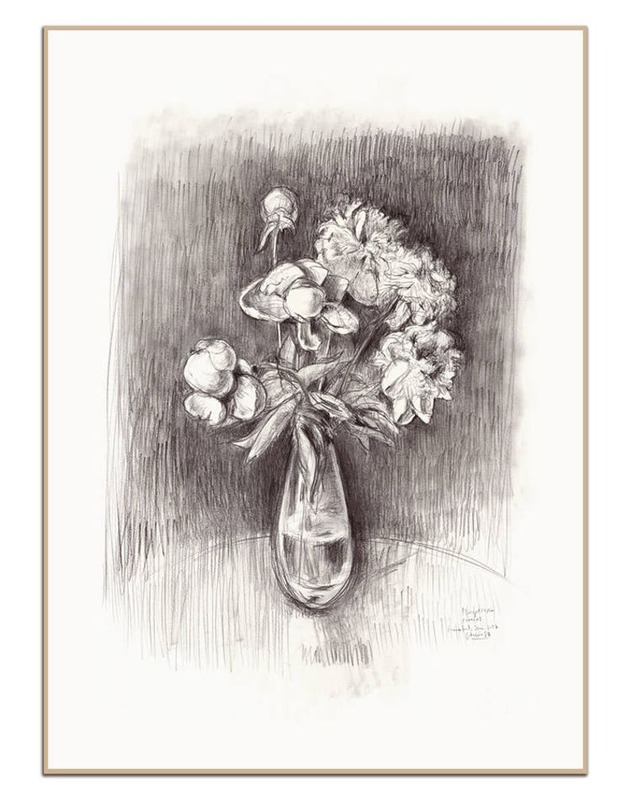 An elegant and shabby monochrome floral still life. For any other size you can contact me. I will package them with care in a cello sleeve and a sturdy flat mailer (A2 sizes in a cardboard roll). Please, notice that the rights to future use of this painting are still in property of Catalina Somolinos (me). Rights do not transfer with sale of painting. Nerium Oleander watercolor & pencil drawing, pink flowers PRINT Botanical floral art by Catalina. Elder flowers watercolor and pencil drawing - PRINT of elder flowers - Botanical watercolor art by Catalina. Wisteria watercolor & pencil drawing PRINT - Wisteria blossom botanical painting, pencil and watercolor - Botanical floral art by Catalina. Conkers #3 pencil drawing - PRINT of a chestnuts still life - chestnuts pencil drawing by Catalina. Cherry Blossom #3 Watercolor pencil drawing, botanical PRINT of blooming cherry drawing, floral art by Catalina. Cherry Blossom #1 Watercolor pencil drawing, botanical PRINT of blooming cherry drawing, floral art by Catalina. Das Bild ist schön und genau wie abgebildet. Zuerst gab es Probleme mit einem Fleck, doch die Verkäuferin hat sofort Kontakt zu mir aufgenommen. But any question please ask me. Depending on your location, your item may arrive up to 6 weeks , because of possible security checks. All customs fees are the customers responsibilities. Cherry Blossom #2 Watercolor pencil drawing - botanical PRINT of blooming cherry drawing - floral watercolour art by Catalina.